Monday until friday, we organise daily surf trips for all surf levels to various breaks all round Bali. What this means is that you can take part in at least two guided surf session per week- day. The surf spots we head for are graded according to the various surf levels and selected depending on the tide, swell and wind conditions. 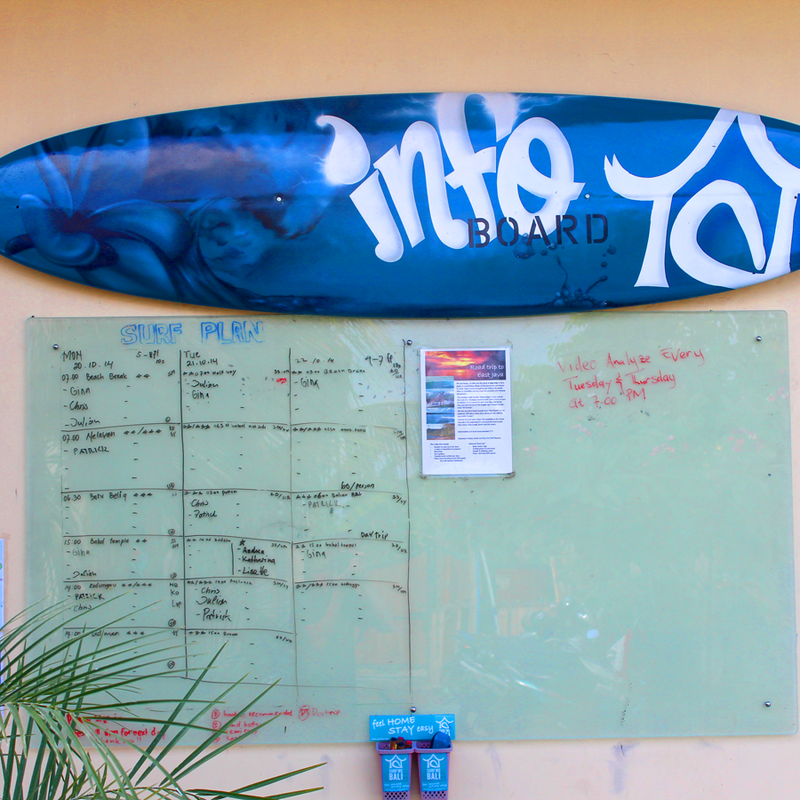 Our surf guides are familiar with the island, drive safely and give you competent briefing on each surf spot. The guides always surf with you in the water, giving you helpful advice to bring your surfing to the next level. Every day selected sessions are filmed so that the analysis which takes place 2 times every week afterwards can help you identify the mistakes you’re making and sort these out. On the evening before choose the surf sessions that suit you best – depending on your preferences and skills and simply enter your name in the list. Our surf guides will be pleased to help you make your choice. Who rules the take-off and paddling already can directly participate in our regular surf guiding. Perfect conditions for beginners provide the numerous beach breaks of Kuta, the “home break” Berawa and the gentle semi-beach breaks of Batu Bolong and Old Man’s. 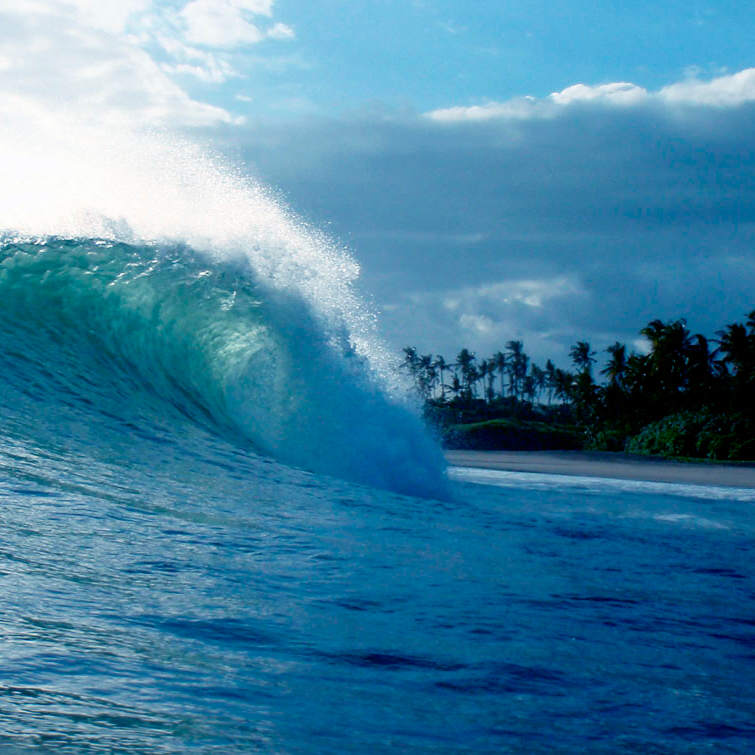 Beside of Berawa Beach, Bali offers a whole series of soft reef breaks and semi-beach breaks for intermediate surfers. Many perfect waves nearby or famous spots a bit further away will push your skills and maybe even make you an advanced surfer by the end of your stay.